Efficiency and adaptability are important on any job site. When that job site is a major highway network, they’re especially critical. While the Iowa Department of Transportation has been using Elliott Equipment Company machines for over two decades, the new HiReach H55 model purchased in 2015 is making the biggest impact for operators. 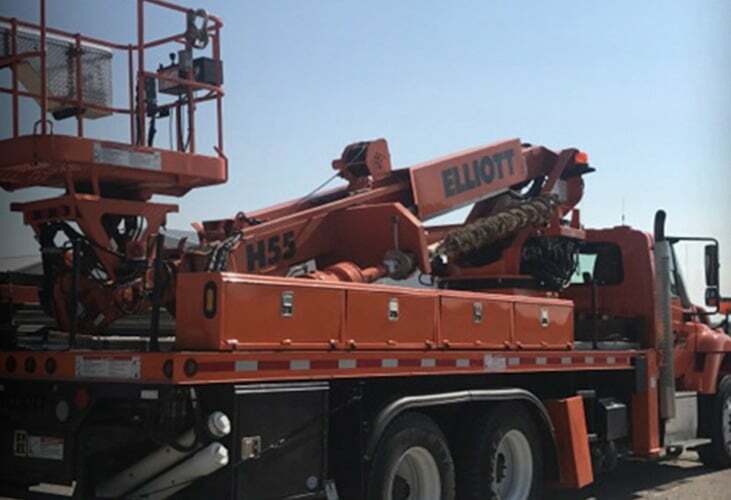 The Department’s decision to purchase its HiReach H55 from Elliott Equipment Company was born of the need to have the tools required for any job without clogging critical state and interstate highways. Three-section telescopic boom with working height of 60 feet and working side reach of 43 feet. Top-mount, 40” x 60” work platform rated for 600 pounds. Main winch capacity of 5,900 pounds and jib winch capacity of 1,000 pounds. 18-foot out-down front outriggers and 8-foot underslung rear outriggers. Additional digger attachment for boring holes for sign posts. Iowa DOT operators say the previous Elliott machine they used was in service for more than two decades. That unit was good, but they say the new H55 HiReach is better in every way. Enhanced hydraulics, smoother controls, improved lines of sight and the newly-added remote control capabilities are among the features that make the biggest difference. Operators say the remote control feature is especially useful. On the one hand, it allows workers to get closer to the action to better see what they’re doing. With better positioning comes more precision, reducing the chance for mistakes and the need for reworking. On the other hand, operators say the remote control feature increases their safety on the job. If a work area suddenly became dangerous, an operator using the remote could more easily move to safety. The addition of a digger attached to the boom allows workers to dig holes for large signposts. The main and jib winches allow workers to hoist and set posts, beams and signs. Workers in the platform can use the jib winch to lift in place and then install street light heads or bulbs or perform other aerial maintenance or installation. 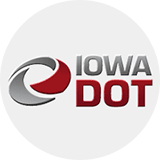 The Iowa Department of Transportation is saddled with the additional responsibility of ensuring safety of motorists and avoiding travel disruptions. Because most of the H55’s work is done off to the right side of a road, an update to the machine’s outriggers allows for safe roadside operation with only the right-side outriggers deployed. Without this update, outriggers on the left side would need to be engaged during roadside operations, possibly encroaching on the roadway and requiring a lane closure. Reducing the need for road closures means Iowa drivers face fewer delays and encounter fewer road safety hazards. 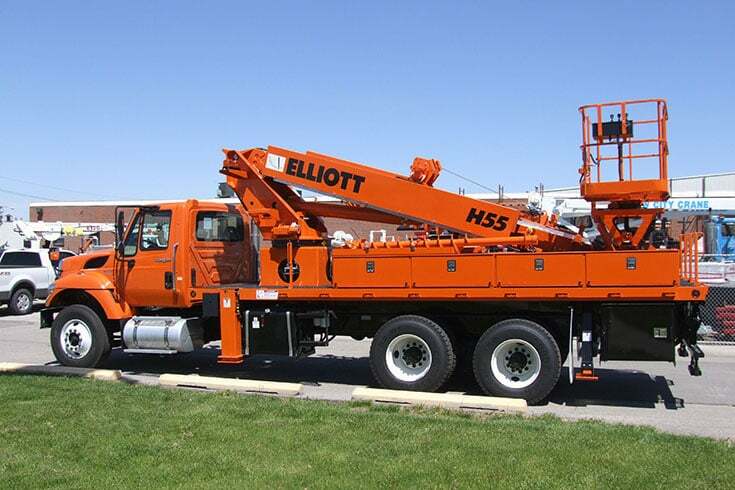 The Iowa Department of Transportation demonstrates its commitment to quality work and safe travel by using the H55 HiReach from Elliott Equipment Company. To see how department of transportation and public works crews turn in jobs well done with Elliott machines, download this industry brochure. You can also download our HiReach product brochure to learn more about what sets Elliott machines apart, and reach out to your nearest distributor to discuss the best way to get an Elliott machine on your fleet.